A's parents, P and J, recently arrived back in London after a stint out of the UK, and deciding not to cook for themselves on their first evening back, they invited C and A to dinner with them somewhere in North West London. P and J initially suggested Turkish food, but A and C vetoed the idea after their fortnight in Anotolia. Instead, P and J, mentioned a new Modern European place in Child's Hill which they had heard good things about but not yet tried. As this option didn't necessarily involve another Patlican Kebap (aubergine kebab) or Iskender, A and C were keen so off they went. 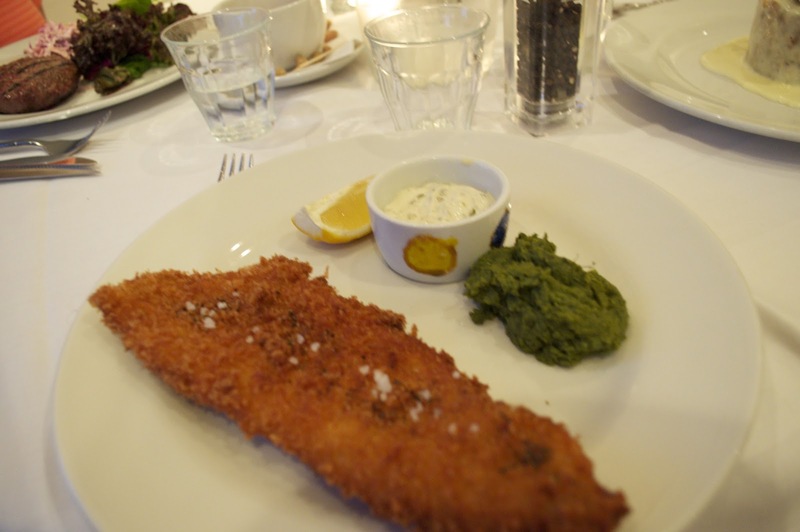 The Grill at 424 is an unassuming little place, tucked on a small parade of shops between Golders Green and West Hampstead. The name comes from its location: 424 Finchley Road. Despite it being relatively out of the way, it's a real gem of a place, serving up tasty pan-european food and doing excellent grills. After avoiding the starters, P and J both opted for the bunless beef burger. These were huge, and according to both, were quite delicious. 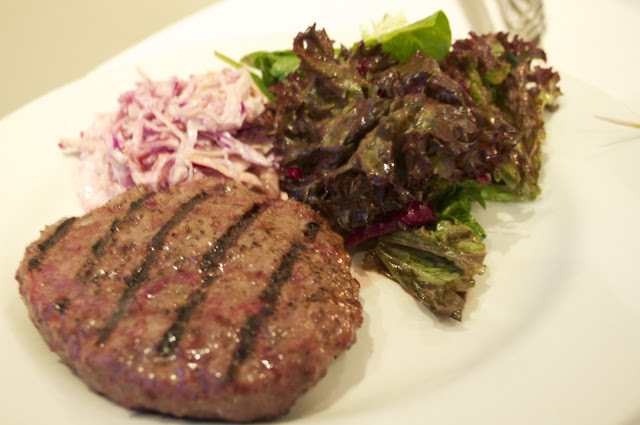 The mince was tender and flavoursome, and was cooked to perfection: both ordered their burgers medium-rare and it came out pink but not undercooked, leaving P and J as happy customers. 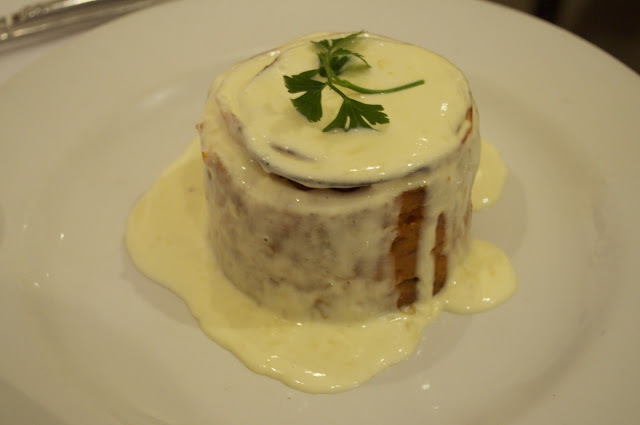 C went for the butternut squash lasagne, which came presented in a stack, covered in a cream sauce and covered in parsley. The sweetness of the squash was complemented by the creaminess of the cheese, and C couldn't stop cooing about the presentation, which was fabulous. A however, drew the short straw with the fish and chips. While it was OK: crispy batter and soft fish, and yummy crispy french fries, A got a serious case of food envy when he looked around the table. The dessert however, saved the day for A. Always predictable, he went with an old favourite - tiramisu - and was not disappointed. 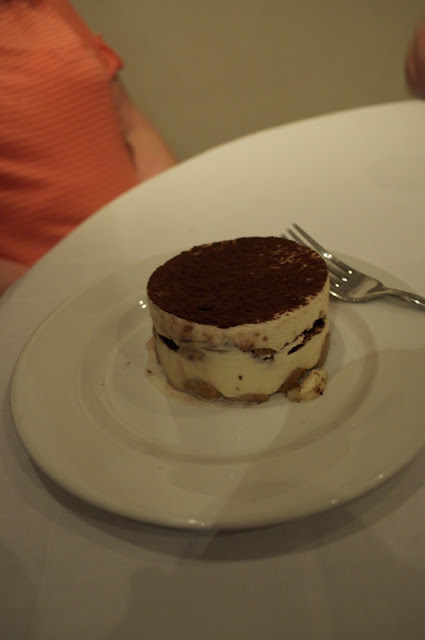 The mousse was creamy and light, and heavily aromatic with the coffee and masala wine. 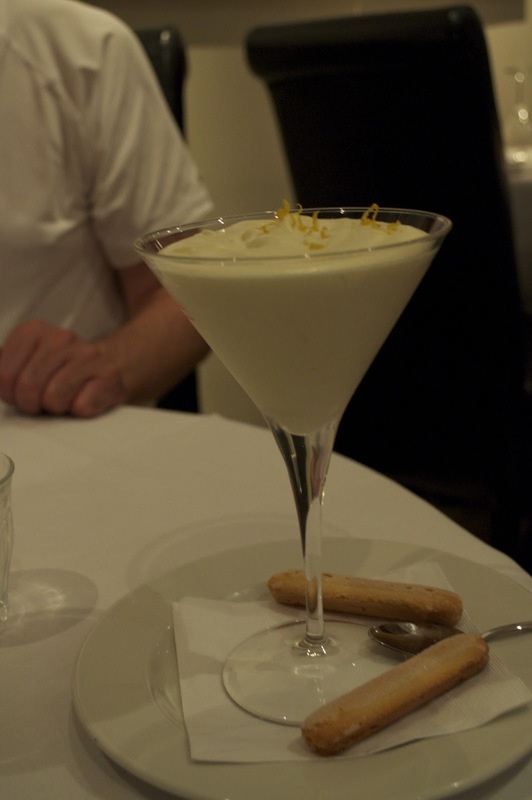 Given that C will swoon over anything with lemon, the lemon posset was a sure-fire winner, though C made sure to admire it's lovely presentation in a martini glass, garnished with squiggles of lemon zest, before attacking it. Generally speaking the food at the Grill at 424 is excellent, but go for the meat or pasta dishes as the fish, while acceptable, really is the poor relation on the menu. Bear in mind that it's not the cheapest place, with mains ranging from £10 to £17.50 but we felt that it was for the most part worth the money and a good place to look up if you are in NW11.